Ciao, amici! It’s that time again. A quick wrap-up of the week, and a little discussion about writing. Hopefully you’ll join in at the end. I don’t often feel powerful. It seems I’m usually reacting to things and not proactively going through life. This quote really inspired me by reminding me that I do have power. And that’s a glorious thing. Man, I hate that, trying to use a company’s services, because hey, they put them there for you to use, right? And it turns out to be more trouble than it should. Yeesh. I’ve got to set up search categories, and the little I looked into it so far makes it seem like easy-peasy if you publish through them, but if you’re published elsewhere, good luck. The most frustrating part (well, parts)? 1. They already know how to let an author claim a book. If we can do it on our author page, we should be able to do it on our ads page. And 2. If they let us do it, they’d make more money from us, which is what they’re all about, anyway. So, why not? You nailed it, Staci. Cheering you on, too, as you battle with Amazon. Thanks, Natalie. I’m glad the quote resonated with you. Fight on Staci! Sometimes it only takes one powerful word (or voice) to make change! That’s so true. Thanks, Jess! Ah, the frustration of dealing with King Amazon. It seems like a futile effort, but hang in there, Staci! Thanks for sharing the links. Have a great weekend! Like talking to a brick wall. Through another brick wall. But I haven’t given up yet! Amazon has taken over Darth Vader’s position as leader of the Evil Empire. I was thinking Emperor Palpatine. At least Vader was redeemed in the end. I don’t think Amazon ever will be. I like how Bezos stood up tp the Blackmail attempt of the Enquirer though. It was a bold move. I don’t know that I would have done that. But then again, I’m not a gajillionaire, so I have limited resources and must be more careful. Of course, I can’t imagine ever doing something salacious, anyway, and if I did, no one would care, so I guess it’s a moot point. I’m sorry you’re having AMS issues, Staci. Have you given them a call? I’m sure you thought of that already. I haven’t really worked with them much yet, too confusing for this pea-brain, lol. My week has been a mess; we had to put our beloved dog to sleep on Monday, my grandson fell through a frozen pond and got soaked the same day (thank God my daughter was nearby! ), Tuesday our water froze, Wednesday our septic plugged, and I have four days left to finish a book before I blow my deadline- oiy! Oh, Jacquie… that’s all awful! I’m grateful no one was seriously hurt, but I’m praying for all of you anyway. I did reach out to Amazon. Their helpful reply. “This isn’t a service we offer to authors at this time.” Seems easy enough to do, so I’m assuming the “at this time” part was faux courtesy and they never plan to offer that as an option. Wishing you a better next week and rapid writing! Thanks, Judi. Hoping you embrace your power, too! Good luck with Amazon – but like you said, deaf or uninterested ears. Have a great weekend, Staci! I’d be dejected if it wasn’t expected. Thanks, Teri. Happy weekend. At least you are accomplishing something. I managed a few measly blog posts. I know you have review issues there. It’s always something. You’ve gotten a lot farther than me in trying to figure out AMS. And I didn’t realize it was a problem for traditionally published authors. Ugh! You might have been all over the place this week but everything was related to writing and it all goes with the field. Consider everything you did necessary accomplishments. I have been remuninating about a new book and am almost ready to begin assembling notes. 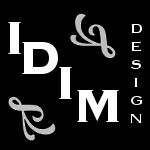 I can’t wait to see what idea you come up with next. As for me, thanks. You’re right—everything was writing-related and somewhat value-added. I really wish I could get this ad-issue worked out, though. I feel like I’m trying to do more with less time. It isn’t working out well. Your review means the world to me, and will push me to get new word count somehow. I feel like that, too. I thought it was a result of getting older, then I thought it was taking on a new job. After that, I thought it was changes here at home that require my attention. I don’t think it’s any of that, though. I think I’m slowing down, and I think demands are picking up. I’ll figure it out. Eventually. And you will, too. I’m glad my review inspired you. Your writing inspires me, and for that, I am grateful. Thanks for including me, once again, in this great post. 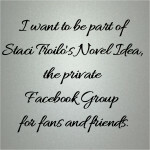 I’m honored to be included in this week’s author inspiration and writing links from this post on Staci Troilo’s blog. Amazon doesn’t make anything easy these days. Love the quote and yes, words are powerful. Wishing you a wonderful weekend! No, they sure don’t. You’d think a company that began by selling books out of a garage would be a little more concerned about authors. I feel a rant coming on, so I’m just going to stop now. Go word power! I think we all have far more power than we realize; something I, too, need to remember! Thanks, Harmony. Wishing you a nice one, too. Staci, maybe a hodgepodge week but still very active on the writerly front for you. AMS? What is that? Some of this is like a new language to me! Wow! I love the quote and this will stay with me … it is wonderfully inspiring and reinforces the reason for our labours! AMS stands for Amazon Marketing Services. They’ve renamed it Amazon Advertising something-or-other, but I still call it AMS. Whatever their name, they aren’t equipped to let authors who aren’t self-published advertise. You have to be the publisher of record, and I’m not. So either I convince my publisher to advertise for me the way I want (which would be a huge effort and they’d never agree to) or they give me access to their dashboard and I do it myself (which we all know would never happen). I think, since Amazon allows authors to claim books on their author page, it shouldn’t be hard for them to let us claim books on an advertising page. Foolish of me to think they’d make it easy for us TO GIVE THEM MONEY. I’m about to go on a tirade again. I’m glad you found the quote inspiring. Wishing you a good weekend, too. I’ve had a few of those weeks lately, too. I love this quote. Words do have power and we have the choice of how to use them. That’s very powerful indeed! Have a great weekend Staci! This seems to have been a good quote to choose this week. I’m so glad it spoke to you, Denise. Enjoy your weekend!